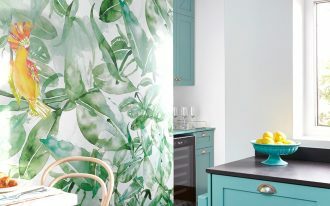 Besides protecting the kitchen wall from the splash of water or other liquids, the kitchen backsplash also becomes a unique decoration that can beautify and give a statement above the workspace or countertops. 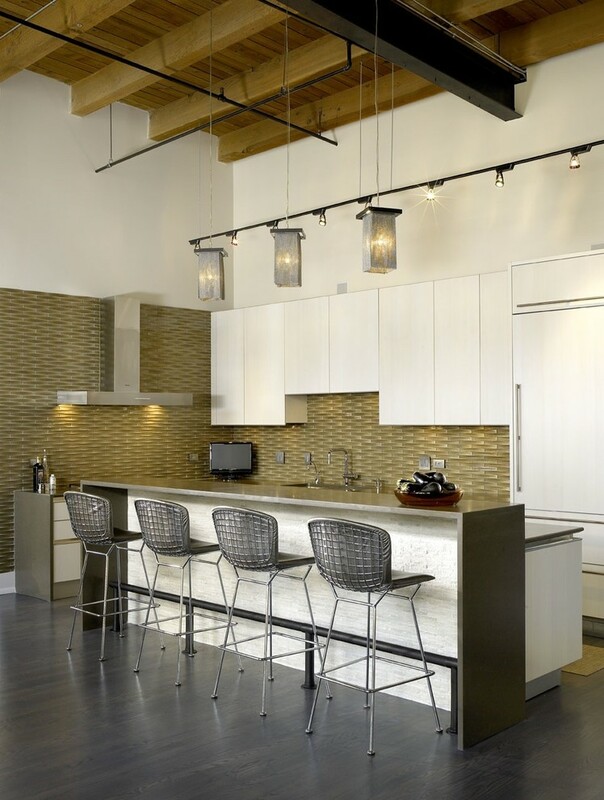 There are many kinds of backsplash you can get, from minimalist to the classic one. You should consider the backsplash material which can be easily maintained and cleaned since it will be installed in your kitchen. The backsplash with unique textures and patterns can beautify the entire kitchen layout. The following are some lovely backsplash texture ideas that will inspire you to create an artistic backsplash in your kitchen. 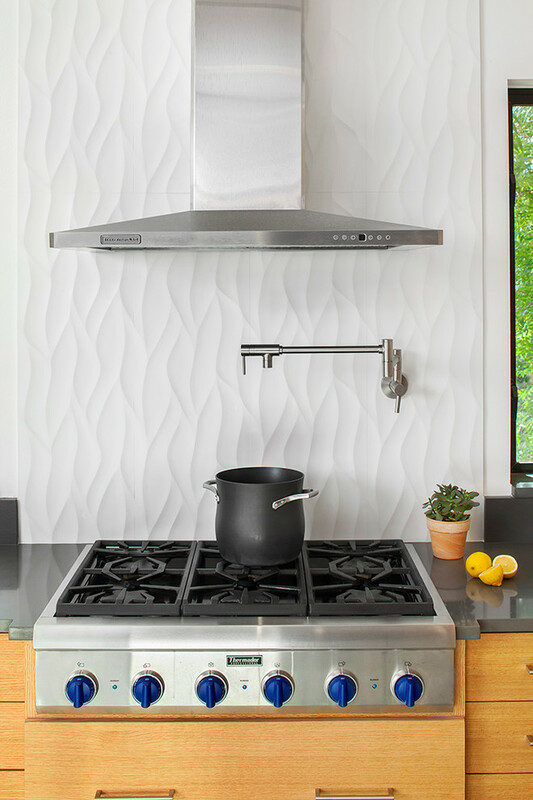 The backsplash wall in this kitchen has a wavy texture and makes the room feel like its moving. The 3D look of this beige backsplash also makes this kitchen more life. If you think your backsplash is too dark, you can install some recessed lighting under the upper cabinet. This white backsplash is porcelain tile. 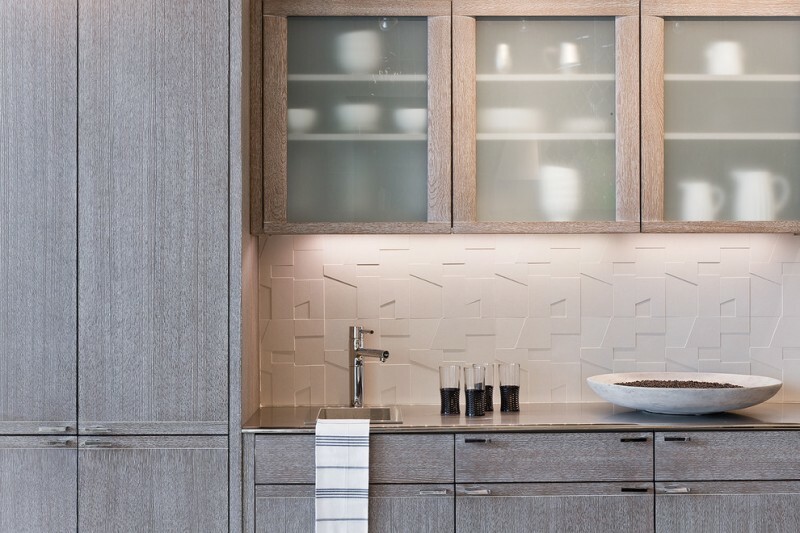 Since this backsplash is installed from the workspace to the ceiling, it comes in vertical patterns that make it better than the horizontal ones. If you want to have an amazing backsplash complete your plain kitchen, you should get this backsplash. The brown glass tiled backsplash adds a touch of much-needed warmth to the plain kitchen without sacrificing its modern aesthetic. Here is another backsplash texture which has wavy patterns. 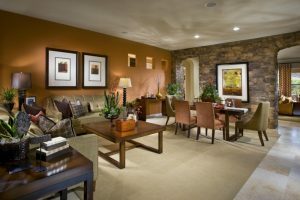 It is a porcelain tile that blends really well between the dark brown cabinets. 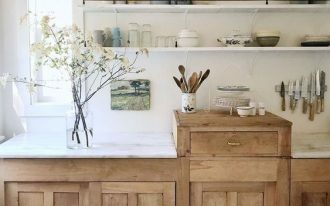 You can choose white countertops to balance the kitchen tone. A Scandinavian style kitchen is really popular nowadays. 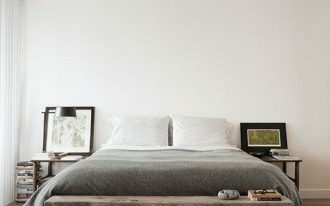 Its minimalist features and layout show the modern style and easy living. 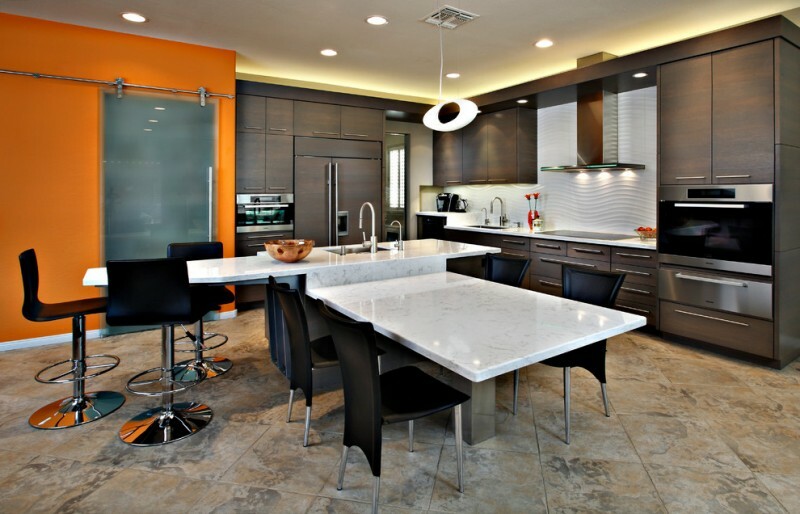 The white ceramic backsplash is well set between the dark brown upper cabinets and white cabinets. 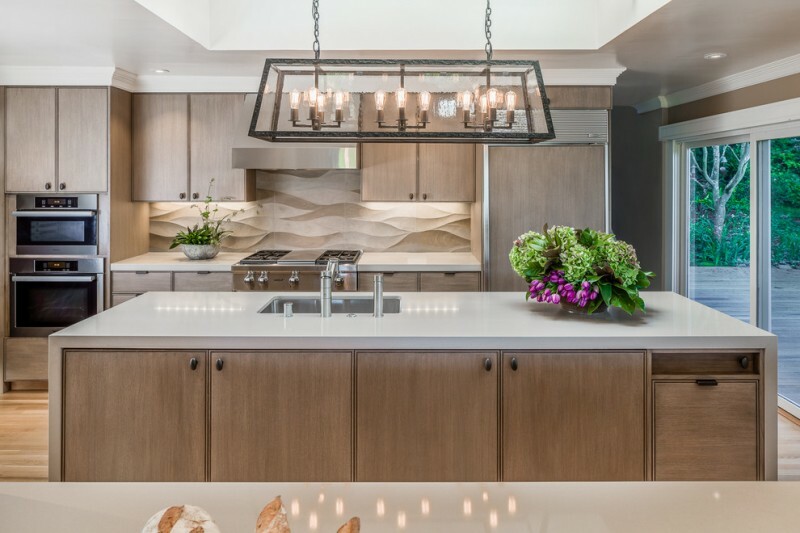 Not all the expensive features can create a good looking kitchen. This 3D through-body porcelain tile is fairly inexpensive. 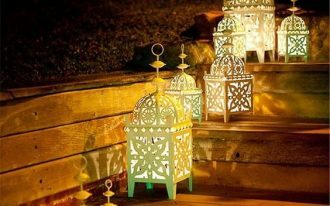 Its design will play with our sense of touch by offering textured and shiny look to admire. 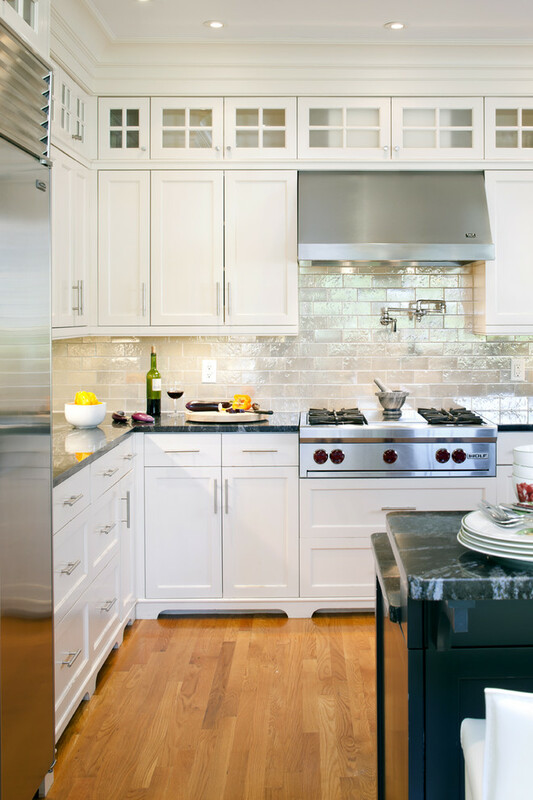 A special backsplash can bring more contrast and interest to your kitchen design. 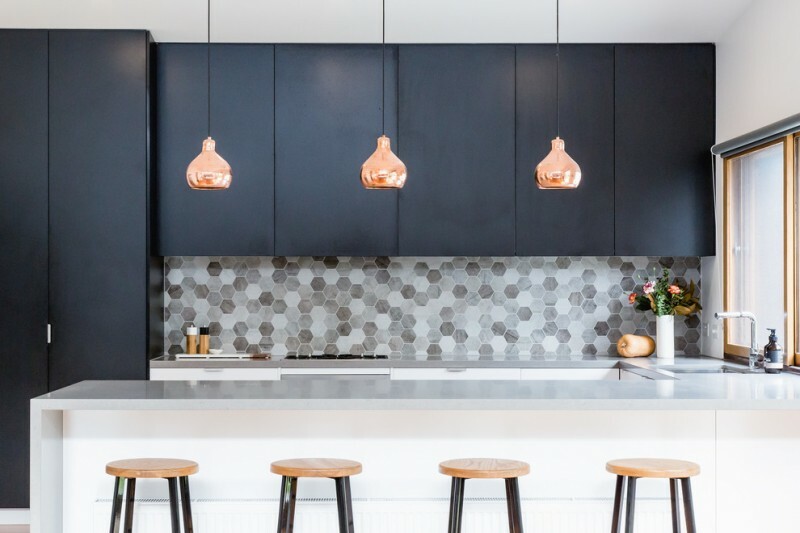 Instead of subway tile, this metallic glazed ceramic tile for backsplash make this kitchen a little bit of glamour and interest. It really suitable to be paired with the simple white cabinets. 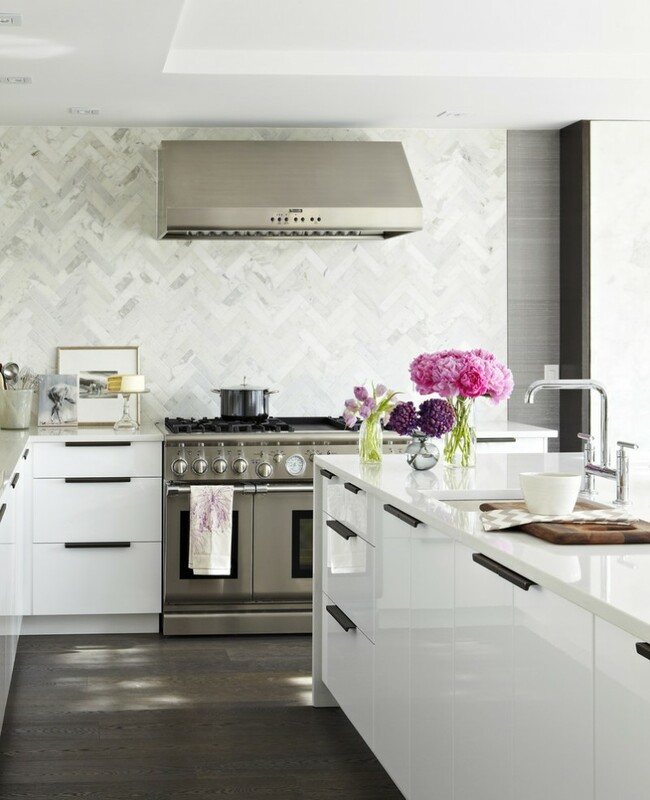 This white elegant kitchen shows a herringbone backsplash texture. 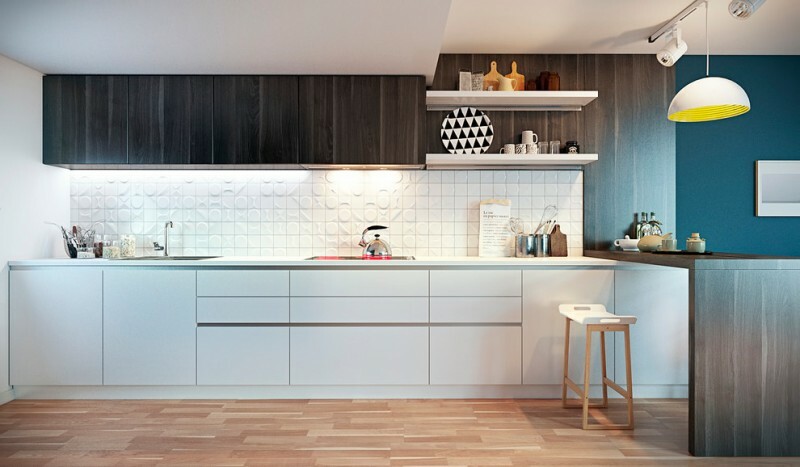 The backsplash tile and the glossy white IKEA custom cabinetry creates a modern look of a kitchen. Some people prefer a high contrast kitchen than a white kitchen since. 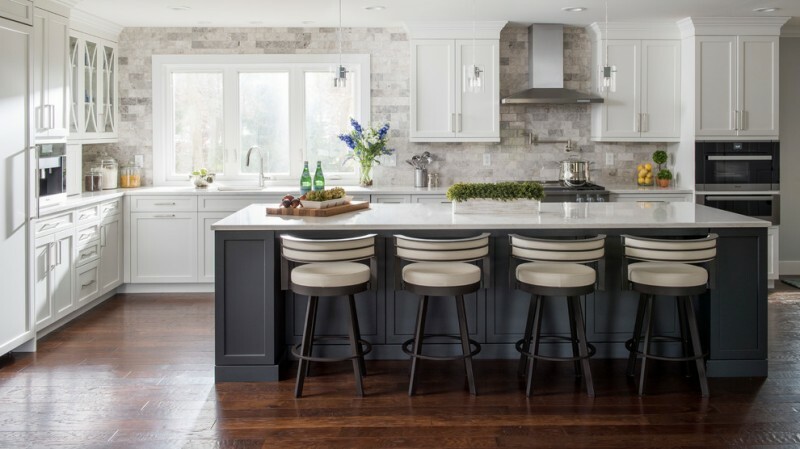 This kitchen looks interesting with a backsplash and stools that navigate between the charcoal grey island and the white cabinets. The tile used here is Tundra grey marble polished tile. Create a chic backsplash as an accent in your kitchen by getting this hexagonal tiles in different colors. 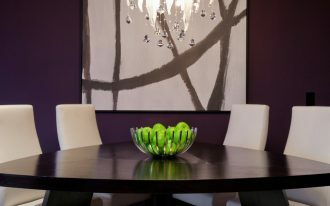 Choose the colors that suit the kitchen furniture items to make it blend well and artistic.